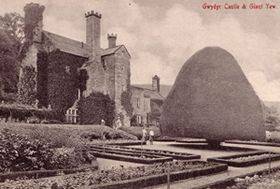 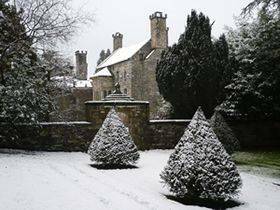 The historic gardens at Gwydir Castle are amongst the very few in Wales accorded Grade 1 listed status. 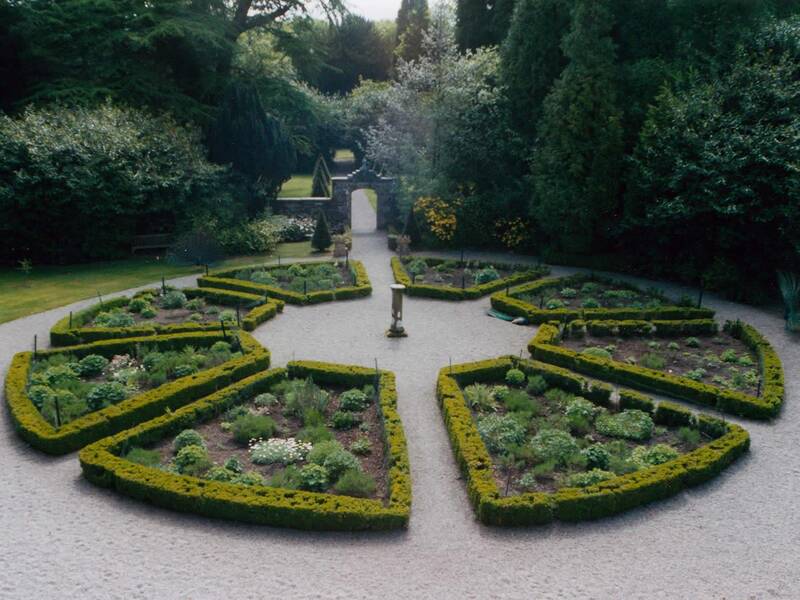 They represent an important example of the formal Renaissance garden of the Tudor and Stuart periods, with later overlays and plantings from the nineteenth century. 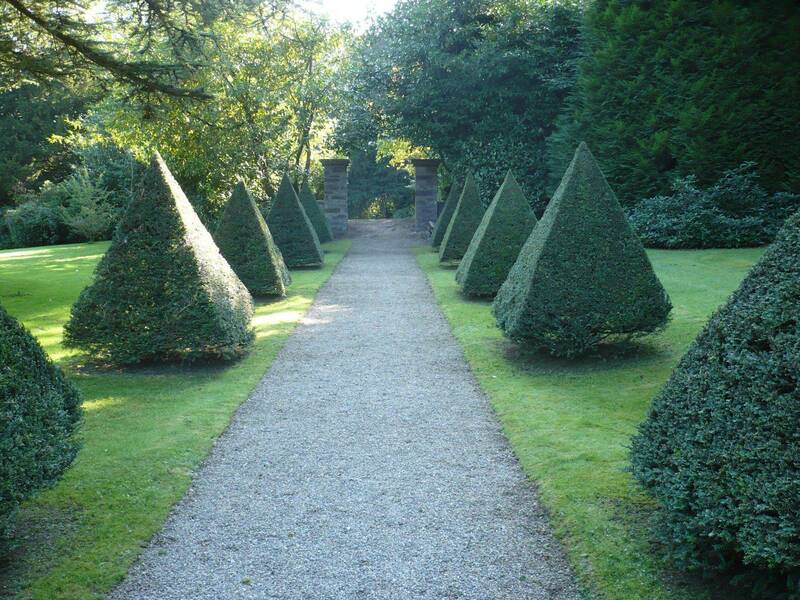 As well as two fine 16th century garden arches and associated walls and terraces, there are many fine early trees, including fourteen pre-1700 yews and three surviving Cedars of Lebanon from the original twelve said to have been planted in honour of King Charles I’s wedding to the French Princess, Henrietta Maria in 1625. 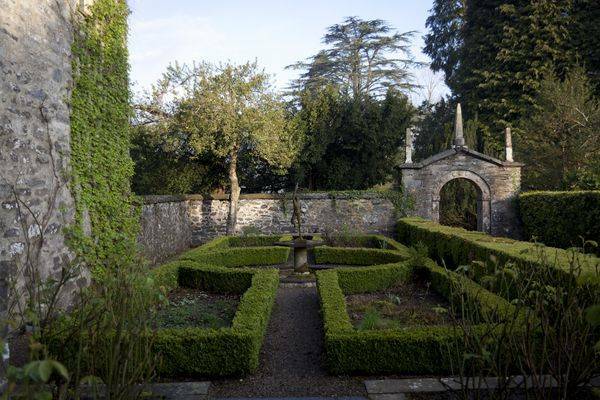 The Old Dutch Garden is famous for its huge yew trees and fountain, while the Knot Garden, in the Courtyard, was laid out in 1828 by Sir Charles Barry, the famous architect, in the form of a Tudor Rose. 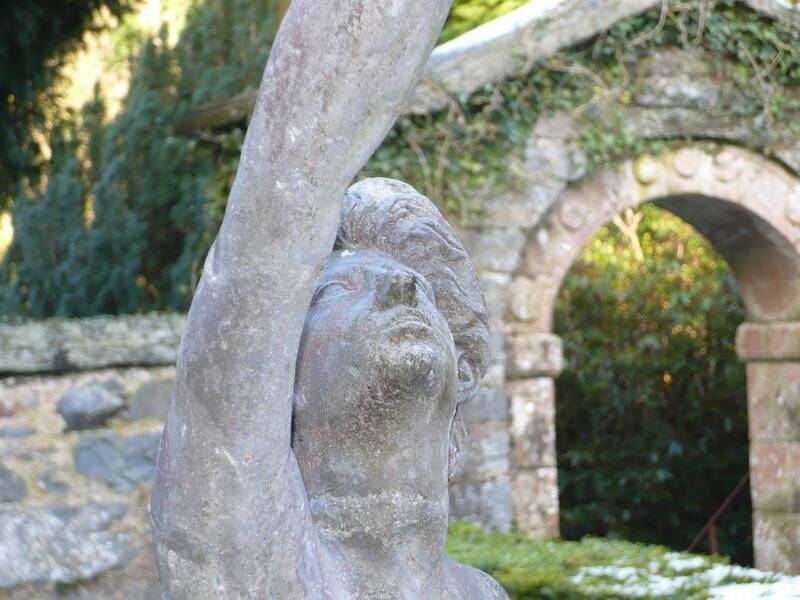 The fine wisteria, which adorns the Hall Range was planted in 1828, the same year that peacocks are claimed to have been introduced to the gardens. 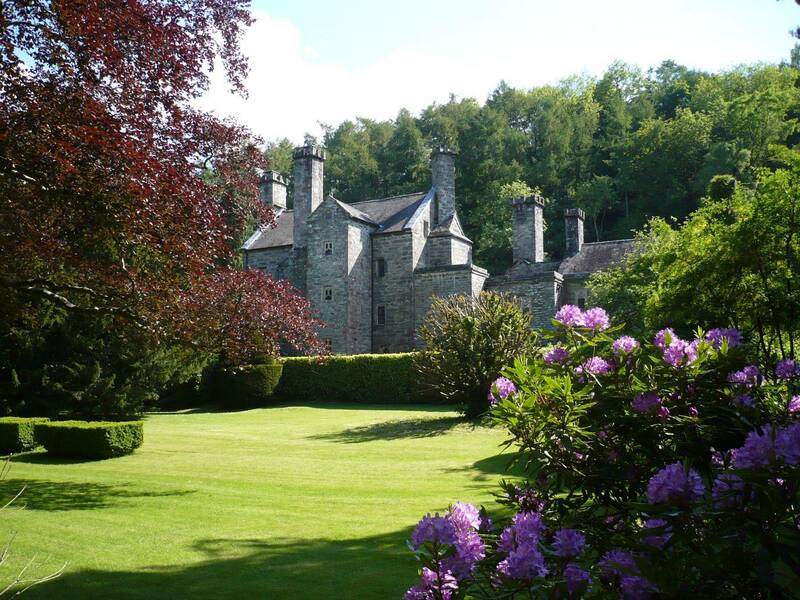 Gwydir’s sweeping views and formal vistas make it one of the most romantic gardens in Wales. 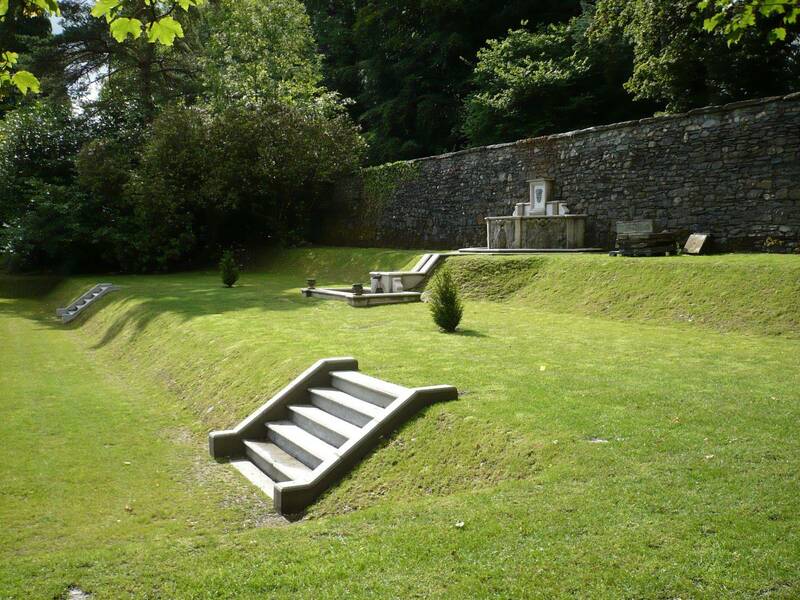 View of the Solar Tower from the Lower Lawns (top left); the restored Dutch Garden Terraces (top right), completed in 2015, and the Little Yew Avenue (right), planted in 1995. 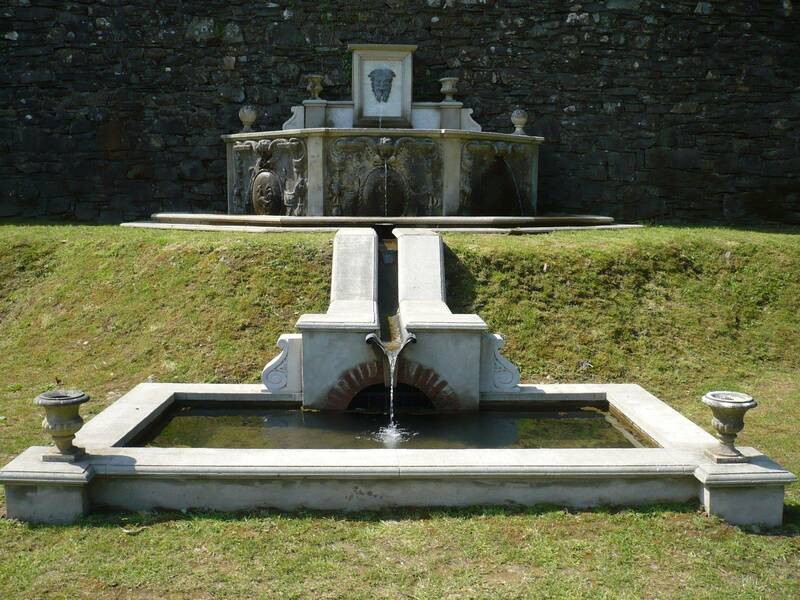 Below: Senses Garden with Mercury Fountain and Sir John Wynn’s Arch (left); the Knot Garden (centre), and the new fountain sequence to the Dutch Garden Terraces (right). 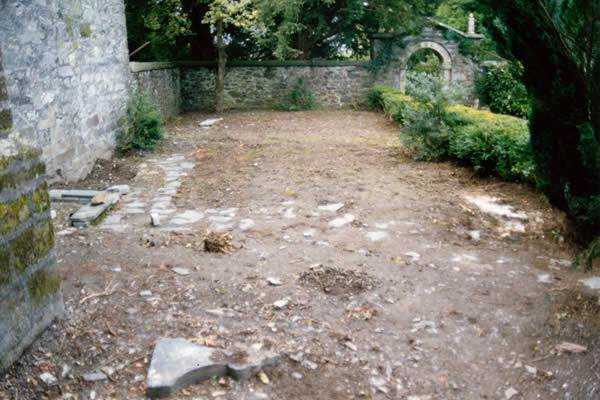 The Senses Garden was laid out in 2000 as a millennial project on a site which had been used as a dump for rubble and debris after the 1921 fire.